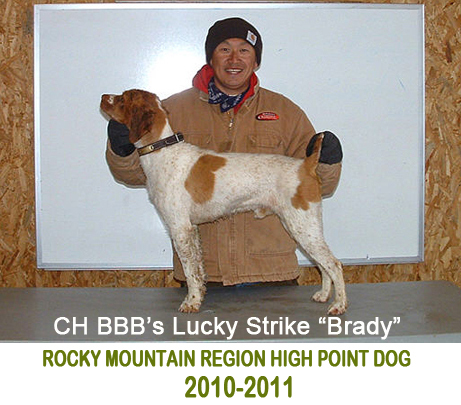 Godfather Gundogs is a Colorado State authorized and PACFA certified birddog training facility. We are devoted in developing bird dogs for the discriminating bird hunters and campaigning walking shooting dogs in NSTRA field trials. We offer a year-round hunting dog training and boarding program to the public, as well as providing training class to dog owners and field trial competitors alike. We have over 20 years of success in training sporting breeds and offer special courses for sporting dogs that are field challenged. In addition to our training services, we are a breeder of an exquisite and highly successful line of field Brittany and English Pointers. We take pride in breeding and raising bird dogs that not only are eager to please but also possess striking physiques and overflow with natural abilities. "Our breeding continually produces pups that signify a true world-class bird dog." The foundation of our program begins with the most elite AKC, FDSB or NSTRA field trial contenders: Each dogs undergo a thorough evaluation and qualification before will be considered to take part in our program. We also have a few started or finished dogs to offer each season, these trained dogs are well polished on wild birds and grace the appropriate manners for the household - nothing less. Please stop by our facility or give us a call; we would love to talk to you about bird dogs.